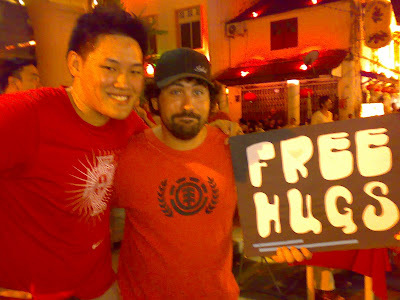 I was checking around at jonker and found this funny person giving free hugs to everyone. He was holding a sign board and written free hugs. That guy is from canada and i call him Bear because he gave good bear hugs. Anyhow he told me, he misses his family, so by giving free hugs will ease the pain of missing home.